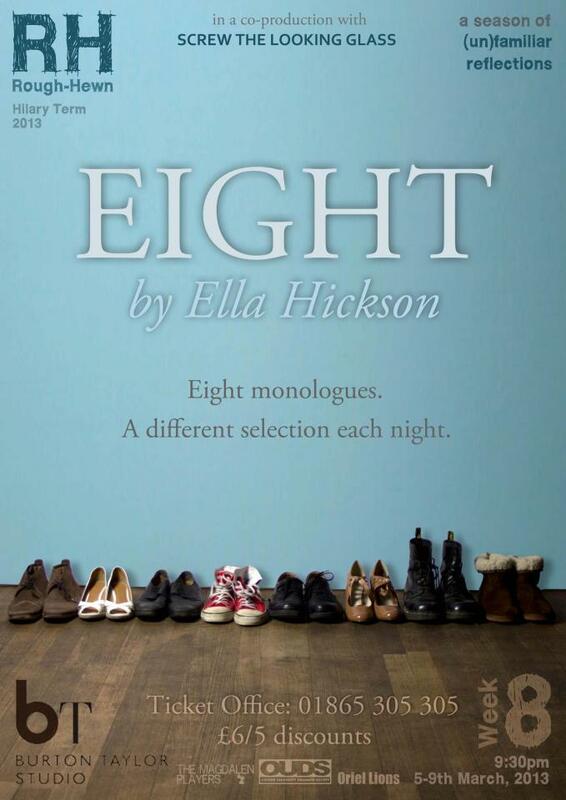 Rough-Hewn Theatre’s performance of the second four monologues from Ella Hickson’s Eight, the preceding four of which were performed on Tuesday and Wednesday, was by turns sharply and wittily comic, deeply poignant and at times genuinely thought-provoking. It managed – testament both to the quality of Hickson’s writing and the impressive skill of all four actors – never to descend into the cartoonish caricature or maudlin sentimentality which all too easily overtakes ‘character portraits’ such as these. 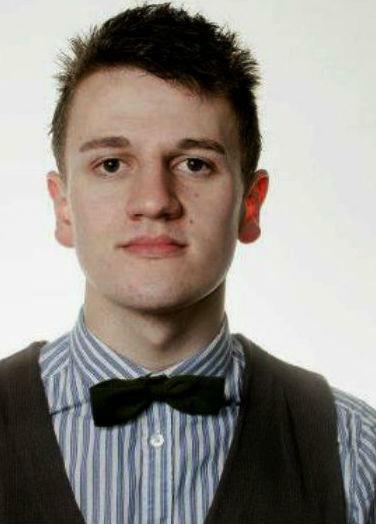 Lloyd Houston, first on stage, portrayed Jude, a seventeen-year-old boy packed off to the South of France for several weeks by his eccentric and donnish middle-class father in order to broaden his cultural education. Houston’s performance was excellent, with an exceptional talent for making both the setting (a ramshackle mansion in a small Provençal town with that characteristic Mediterranean quality of appearing near-derelict from the exterior but luxuriously alive inside), and his fellow characters, come to life so vividly that it was possible to forget that we were looking at a single actor, dressed in nondescript jeans and T-shirt, standing on a stage adorned only with white drapes. My one initial reservation was that Houston’s portrayal of the character appeared too down-to-earth, too likeable, but this soon proved to be an advantage as the script took a tragic turn in documenting Jude’s increasing loneliness and obsessive and inappropriate infatuation with his landlady, rising above the all-too-easy ‘Gap Yah’ cliché to project a snapshot of life with which anyone who has experienced a long, isolated teenage summer holiday in the not-too-distant past can perhaps empathise. 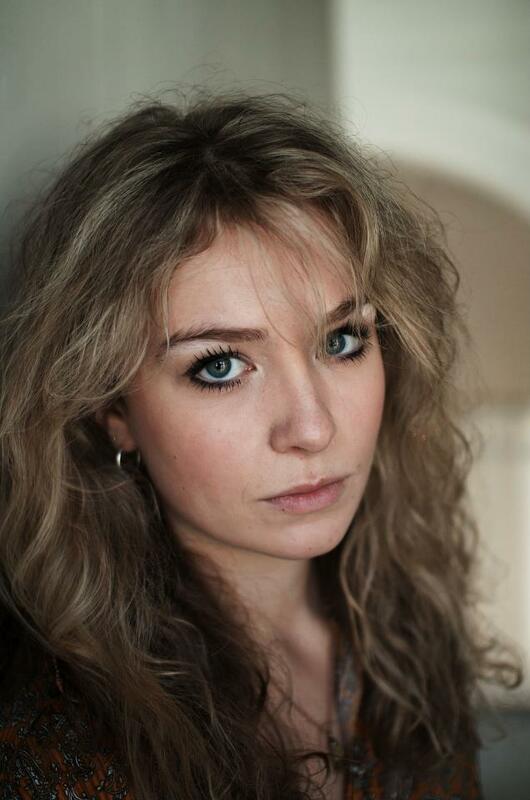 Georgina Hellier was next up as Astrid. An ingenious reversal of perspective, we were made to confront the uncomfortable situation of siding with her as she sneaks back into her own bed after a liaison with another man, returning to her snoring, grunting boyfriend clearly suffering the after-effects of last night’s beer and curry (played masterfully by Lloyd Houston). The comic relief provided by this, along with Hellier’s engaging performance which was an excellent example of witty and sarcastic charm, forced the audience into confronting some difficult truths about the transience of human affection and relationships, and left us in the unnerving position of sympathising with Astrid; it also provided an interesting framework for the unexpected plot twist near the end of the scene (which I won’t spoil for you). 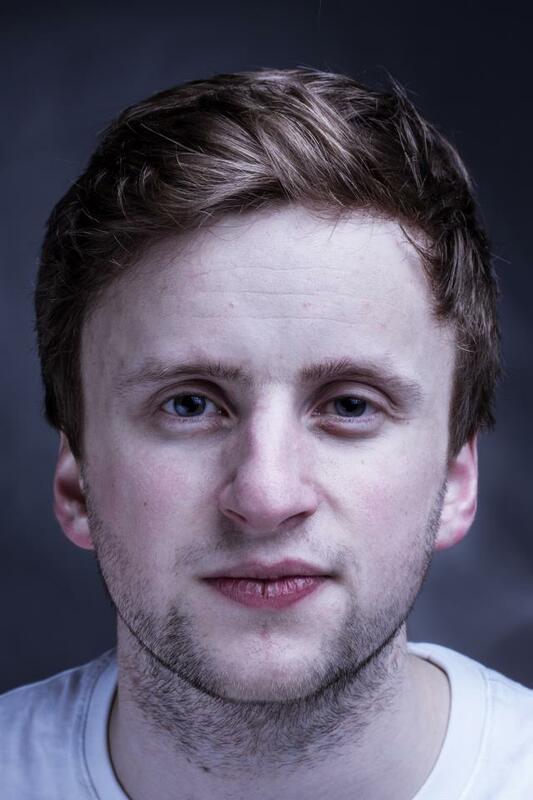 Things took a somewhat darker and more disturbing turn with Danny, an ex-soldier played by Jo Allan. Horrifically wounded while patrolling the streets of Basra, he now spends his days and nights in a mortuary preparing bodies as anatomical specimens for medical students. Although the scene opened with Danny rather-too-affectionately petting and tending to a young female corpse (portrayed by Georgina Hellier), Allan’s performance completely avoided any sense of freak-show sensationalism. Instead, we were gradually drawn into his alternately insightful and child-like inner world, exploring deep questions of our relationship to ideals of bodily perfection (especially unusual and refreshing to see portrayed from a male perspective) as well as some extremely well-observed and pertinent observation of the psychological effects of war and the emotional complexes of working-class masculine identity. 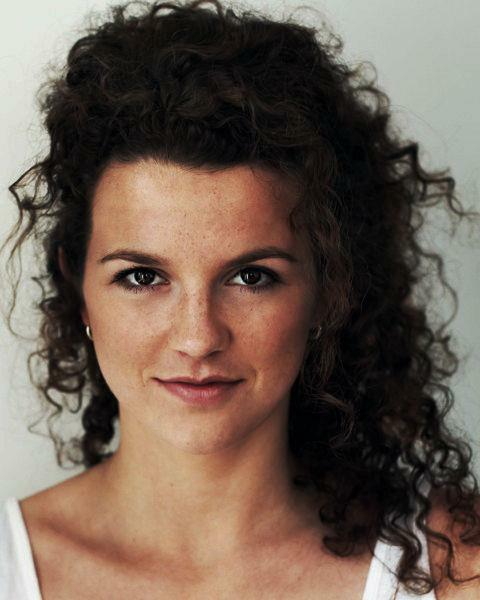 The final of the four performances centered around Bobby, acted by Phoebe Hames. A single mother living in a Glasgow council flat, laid off from her shop assistant job in the run-up to Christmas, she takes up an offer of work helping an elderly woman from the other side of the social divide prepare for the arrival of her extended family. Hames’ portrayal was sharply and accurately observed, but like all three other performances was sympathetic and never hinted at descending into caricature. My one slight criticism of Hickson’s writing in this piece was her decision to name the Christmas-pudding-boiling, upper-middle-class family matriarch Mrs Beeton: I felt that such an obvious historical reference detracted from the realism of the piece. However, Hames’ performance was excellent, by turns poignant and bleakly comical, and the piece made some incredibly sharp observations about the contrast between working-class and middle-class motherhood and the less often explored cultural aspects – food, music, language – which arguably continue to prop up the class divide in contemporary Britain. All in all, this set of brilliantly observed and even more superbly acted character portraits was one of the most memorable and thought-provoking pieces of theatre I’ve experienced in a long time. For more information about Rough-Hewn and their upcoming productions, please visit their website.